Everyone’s heard of Leo Tolstoy. But exactly who was this acclaimed Russian author? While Churchill argued that the key was national interest, perhaps he wasn’t digging deep enough. Just like the wooden matryoshka dolls Russia is so famous for, we too must remove the outer layers of geopolitics to get to the metaphysical core of what truly makes Russia tick. And what better way to explore the seed of the Russian soul than by studying the works of its finest artists? But Russia is perhaps most respected around the world for its writers. Indeed, even at the closing ceremony for the 2014 Winter Olympics in Sochi, the host country paid an immense tribute to their finest writers. We can learn a great deal about Russia by reading Gogol, Chekov, Turgenev, Bulgakov, Pushkin, and Gorky. However, above all these talented Russian writers, two names generally stand above the rest: Fyodor Dostoyevsky and Leo Tolstoy. Though these authors are both literary giants, today we’ll take a look at the life, work, and legacy of Leo Tolstoy. 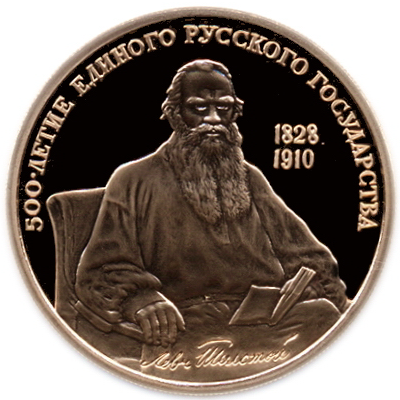 Leo Tolstoy was born on September 9th, 1828, in the southwestern city of Tula to Nikolai Ilyich Tolstoy and Countess Mariya Tolstaya. He was born into wealth, the youngest of four brothers in a highly respected noble family with a vast family estate called the Yasnaya Polyana (or “Bright Glade” in English). Unfortunately for young Tolstoy, both of his parents died soon after he was born. In 1830, his mother passed away, and Tolstoy’s father died only seven years later. The young boys were soon put under the guardianship of an aunt, but she soon passed away and the Tolstoy children were sent to another aunt in the city of Kazan. Although educated by French and German tutors, Tolstoy failed to do well as a student at the University of Kazan. Tolstoy loved to party, and he failed to spend any time studying for his law degree. 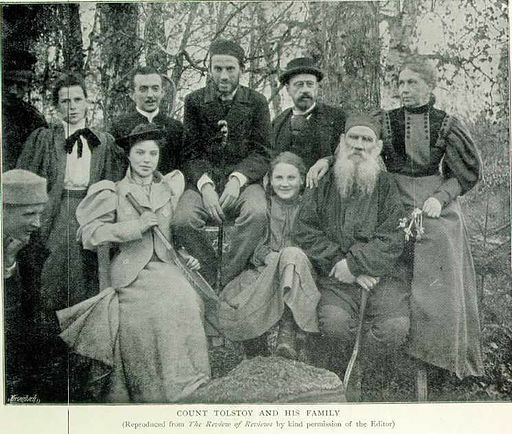 In 1847, Tolstoy left the University of Kazan without a degree and decided to try his luck as a farmer on the family estate. Yet again Tolstoy failed in this venture, mainly due to the fact that he was more concerned with going on social visits to Moscow than actually doing any farm work. It was around this time that Tolstoy enlisted in the Russian Army. He was induced to do so by his brother, Nikolay, who was also in the Army. Tolstoy was eventually placed in the Ukraine in 1854, and he took part in the Crimean War in 1855. It was here, amidst the flurry and frenzy of war, that Tolstoy began to seriously write. He first worked on an autobiographical sketch called “Childhood,” which was accepted by the popular literary journal The Contemporary in 1852. 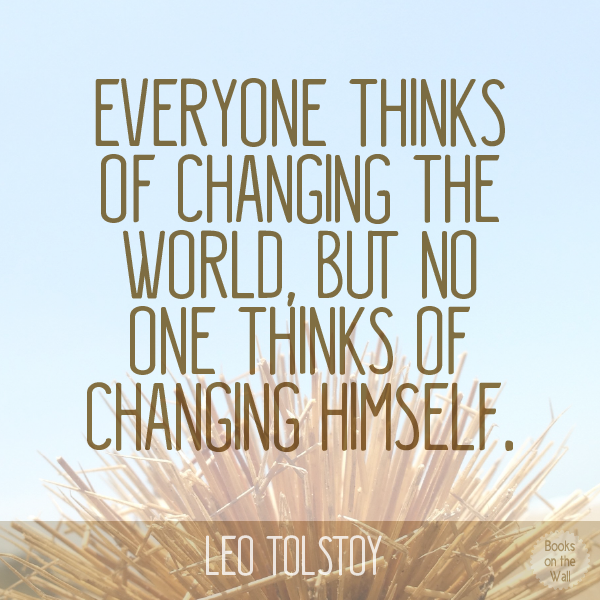 After “Childhood” proved successful, Tolstoy followed up this story with the sequel “Boyhood,” published in 1854. He also wrote a daring three-part novel called the Sevastopol Tales on the Siege of Sevastopol (1854-1855), which took place during the Crimean War. 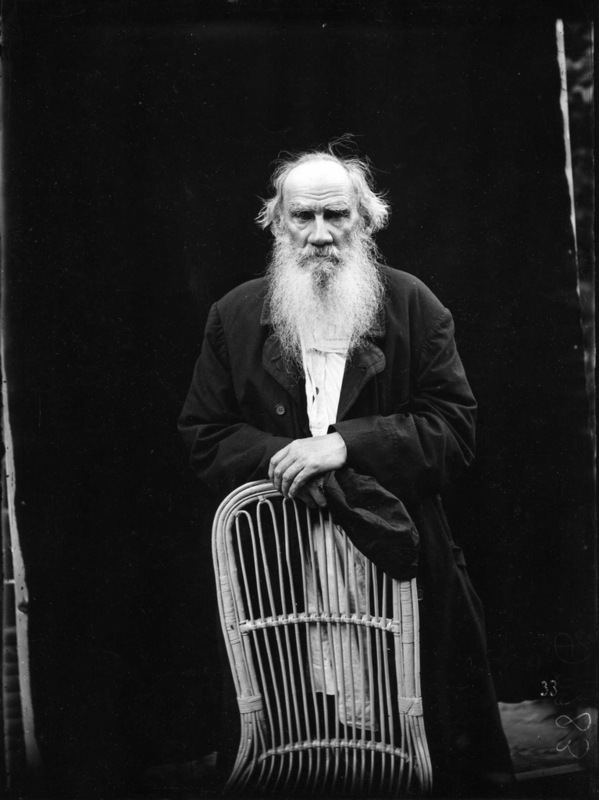 After the war, Tolstoy was an instant celebrity in St. Petersburg. However, Tolstoy found the literary scene in Russia’s cultural capital too pretentious, and he quickly left for Paris in 1857. Much like Dostoyevsky, Tolstoy had a bit of a gambling problem, and he gambled away all of his new money in the French capital. Tolstoy returned to Russia in 1862, and he quickly got to work writing again at Yasnaya Polyana. One year later, Tolstoy married a woman by the name of Sofia Andreevna Bers, a doctor’s daughter. He would go on to have 13 children with his wife, but only 10 children would survive infancy. Throughout the 1860s, Tolstoy spent many hours each and every day working on what some consider to be his finest novel: War and Peace. This massive novel was initially released in serial form in various magazines, and it was fully completed in 1869. Unfortunately, many people simply know War and Peace as a “really long book.” It’s true, War and Peace is well over 1,000 pages long in most editions, but it’s full of action, adventure, and interesting philosophical reflections. War and Peace follows five aristocratic families in Tsarist Russia during the French invasion of the early 1800s. Tolstoy interviewed many Russians who had experienced the French invasion first hand, and he researched the history of the Napoleonic era extensively while crafting this novel. In addition to being a great work of historical fiction, War and Peace is universally celebrated for Tolstoy’s memorable characters, including Count Pyotr Kirillovich Bezukhov, the Countess Natalya Ilyinichna Rostova, and Princess Maria Nikolayevna Bolkonskaya. War and Peace was extremely successful in its own time, and Tolstoy quickly followed up on this success with another huge novel: Anna Karenina. Although Tolstoy didn’t have to worry about finances anymore, he still felt empty inside. Tolstoy desperately wanted to know the meaning of life, but he was unsatisfied with the answers he received from the Russian Orthodox Church. Eventually, Tolstoy started a publication called The Mediator in 1883 in which he criticized the Russian Orthodox Church. As you could imagine, Tolstoy’s views on the church were unpopular with high-ranking officials in Tsarist Russia. Tolstoy was regularly spied on by members of Russia’s secret police throughout the rest of his life. Most of the literary works that came out of this period in Tolstoy’s career were religious in nature. 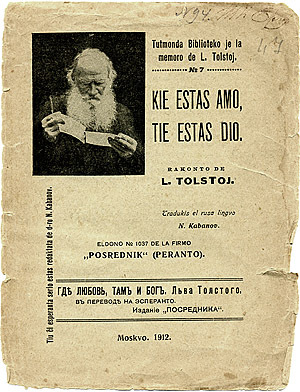 All of the texts Tolstoy published during this time, with the exception of a long novel called Resurrection, were short stories, political or religious tracts, or novellas. If you want to get into Tolstoy but are afraid to tackle War and Peace right off the bat, you should pick up a copy of the novella The Death of Ivan Ilyich. This novella, published in 1886, is considered to be the finest work of Tolstoy’s later career. The story is simple: a lawyer suffers a fatal injury and is suddenly faced with the prospect of death. This powerful story of religious conversion continues to inspire people of all faiths around the world. Nabokov told reporters that this tiny novella is second only to Anna Karenina in terms of importance to 19th century literature. Although Tolstoy wrote a collection of short stories entitled “Family Happiness,” this notion wasn’t actually present much toward the end of his life. If you’ve seen the popular 2009 film The Last Station, then you’re probably aware that the final years of Tolstoy’s life were, to say the least, tumultuous. While he was getting more and more into spirituality, Tolstoy’s wife worried about the family’s finances. She especially worried when Tolstoy started talking about giving all his money away and living a life free of materialism. This conflict resulted in a legal deal whereby Sophia would get all the royalties from works published by Tolstoy prior to 1881. Tolstoy enjoyed international fame during his later years, and many disciples came to visit him to learn all about his spiritual philosophy. All of the visitors turning up at Tolstoy’s home started to get on Sophia’s nerves. Not only did Sophia dislike many of the visitors who showed up to visit Tolstoy, she also disagreed with her husband on many spiritual matters. This cause so much stress in the Tolstoy household that Leo Tolstoy decided to secretly flee the house in 1910 with his doctor and his daughter Aleksandra. Tolstoy, who was 82 at the time, suffered from extreme exhaustion during this escape. Thankfully, the old novelist was able to rest in a train depot in Astapovo, a rural area now simply called Leo Tolstoy. 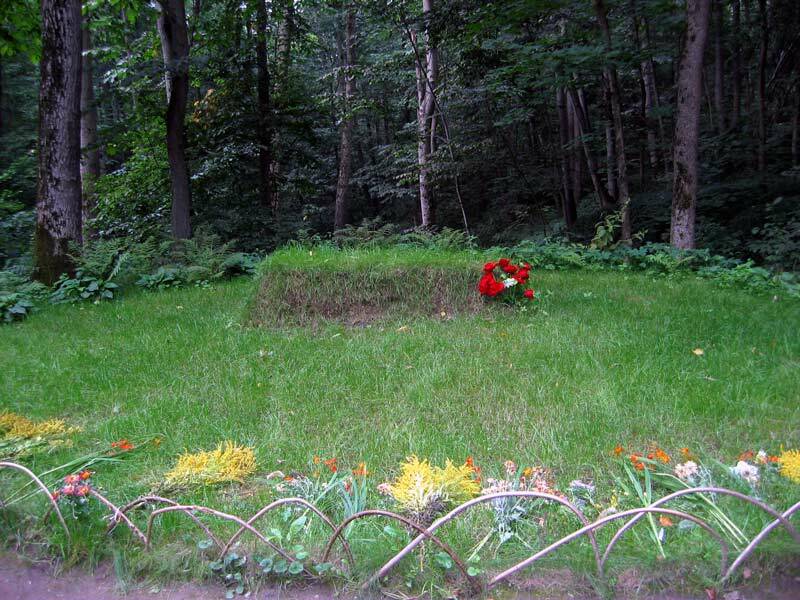 He died peacefully in the train station, and was quickly taken to Yasnaya Polyana to be buried. In Spengler’s mind, Tolstoy is the premier Russian novelist to adopt the rational and sophisticated sentiments of the Western world, whereas Dostoyevsky embodies the local, ecstatic, and frenzied peasant spirit of the Russian homeland. There has, of course, always been a tension at the heart of Russian identity between those who wish to adopt Western ideas and those who oppose the intrusion of the Western world. We can see this cultural foment even today. While these are only theories, they can help us begin to understand why Tolstoy has had such a dominating influence on world literature. 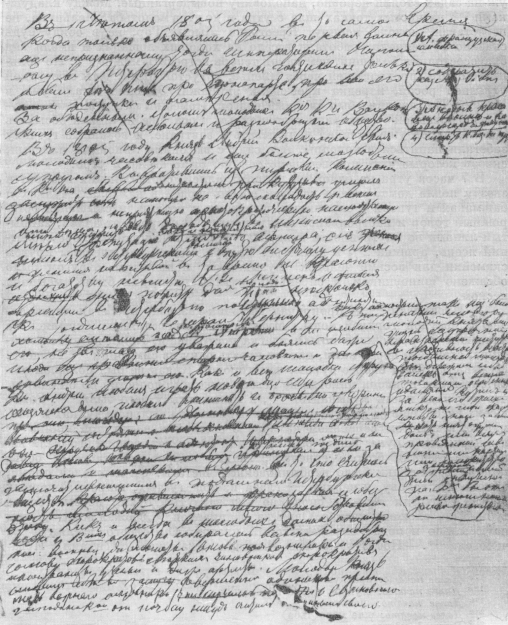 If we are ever to understand the Russian enigma, it is essential that we have at least a basic understanding of Tolstoy and his powerful novels. Want the top bookish content from across the internet? Join our Weekly Literary Roundup to receive the most popular and relevant literary news every Tuesday at 10 am. 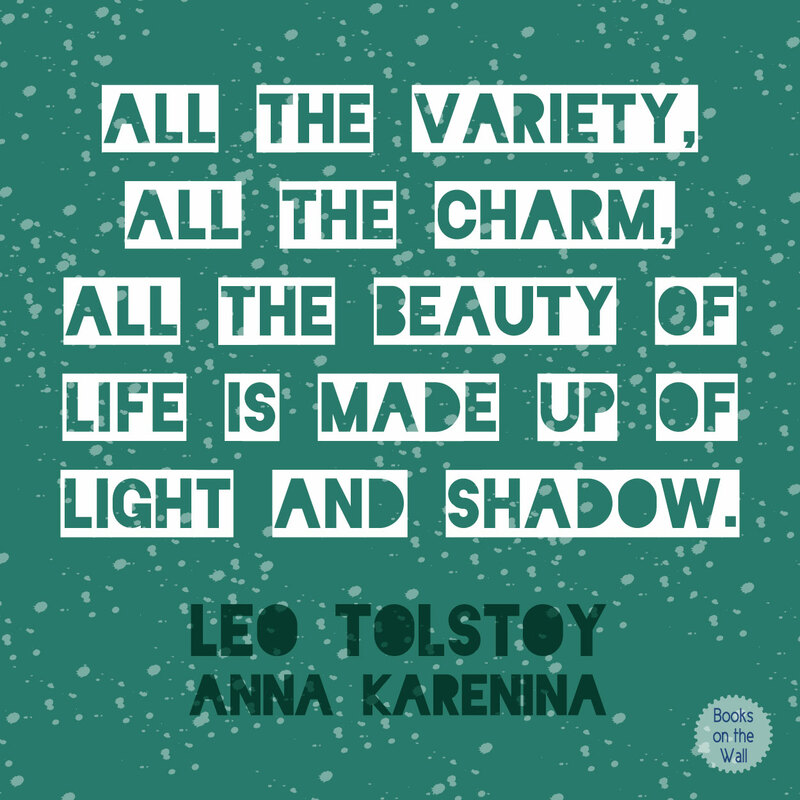 1 Comment on "Leo Tolstoy: A Key to the Russian Heart"
Since 2012, Books on the Wall has offered minimalist book posters that display readable text from your favorite works of classic literature. Want to get in touch? Send us an email at hello@booksonthewall.com or reach out through our contact form. The Work of Fyodor Dostoyevsky: "Composed Purely and Wholly of the Stuff of the Soul"